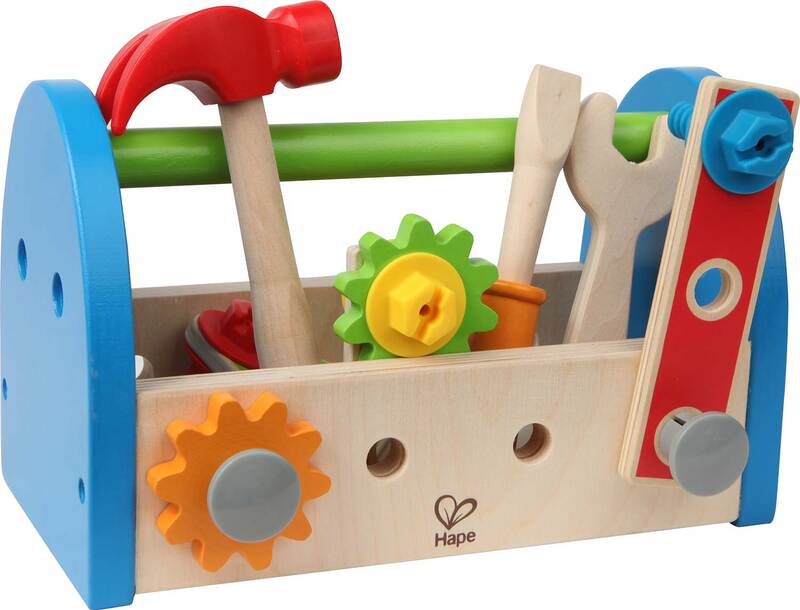 Hammer, tighten, measure, and screw with this fine Fix-It Toolbox from Hape. 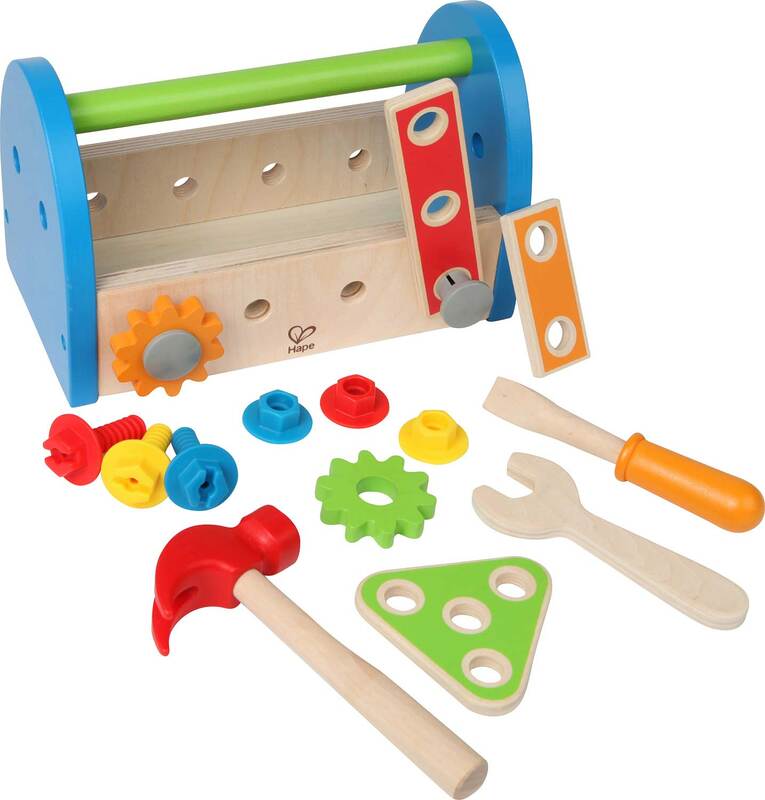 Your little fixer can take after Mom and Dad and engage in their own handy house projects with this ready-for-action toolbox with hammer, wrench, screwdriver, ruler and all the necessary building essentials. 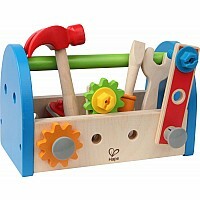 The Fix-It Toolbox and its tools are crafted with hallmark Hape high quality for a toy set that is built to last. For ages three years and up. 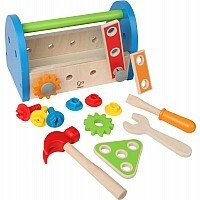 - Fix up little projects with this well-equipped toolbox for youngsters! 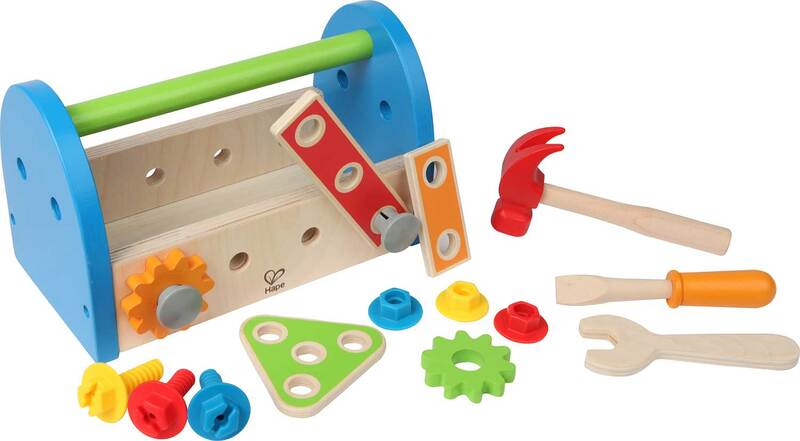 Great for improving dexterity, coordination, and fine motor skills. Measures approximately: 9.46 x 5.04 x 5.91 inches..